Challenge your senses with this back to nature adrenalin rush, this trip has is all! We begin with a 35 minute walk through lush rainforest, you begin your descent into the canyon with a series of abseils, the biggest and most exhilarating of which is 50m, before entering a narrow volcanic gorge, with its hidden pools, caves and jumps. Finish off with a visit to Piha's iconic black sands surf beach and Lion Rock. For your own safety we cannot take you on a canyoning trip if you are under the influence of alcohol. After the trip go wild. 7.5 Hours - Times include travelling time from Auckland, return. Actual canyoning time approx 3 hours. An ideal introduction to the excitement and beauty of canyoning, perfect for those on a tight schedule with flexible departure times. Ideal for big groups with varying skill and fitness levels, such as hen and stag parties, corporate functions and team building, Christmas parties or just a brilliant family day out. (Minimum age 10 years). 5.5 Hours - Times include travelling time from Auckland, return. Actual canyoning time approx 1.5 hours. Experience natures playground like never before with our night canyoning adventure. Arrive in Piha at dusk in time to see the sun setting. 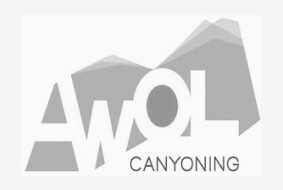 You enter into the canyon by abseiling under a cascading waterfall, then explore your way down through caves, pools and ledges, illuminated by only your headlamp and the glow-worm lined rock walls. Departure times vary seasonally. 5.5 Hours - Times include travelling time from Auckland, return. Blue Canyon has 18 waterfalls, ranging in height from 2 to 30 meters (7 to 82 feet). The water has carved perfect pools into the dark volcanic rock, creating the most amazing shapes. Spend the day sliding down natural hydro slides, abseiling-rappelling down mystical waterfalls and getting some airtime with the awesome jumps into deep crystal-clear pools. The Blue canyon is an exhilarating fun and playful trip, not to be missed. We will provide you with full training and safety instructions by experienced and qualified guides as well as a full length wetsuit, harness, helmet, shoes and life jacket on request, a bakery lunch, refreshments and snacks. Bathing suit or similar to wear under your wetsuit (you will be walking in your swimsuit to get to the canyon so a pair of boardies or shorts are more suitable), spare sneakers to wear in the canyon (they will get wet! ), a towel, sunscreen and warm clothes for after. For your own safety we cannot take you on a canyoning trip if you are under the influence of alcohol. After the trip go wild! The minimum age is 12 years and must be accompanied by an adult. Trips run every day except Christmas day, but are subject to minimum numbers being reached.